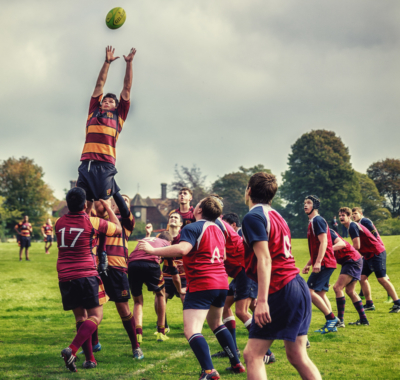 The Buckswood rugby academy is a successful and popular programme designed to improve and develop talented rugby players 11-19 in Sussex. Over the last five years we have produced four Sussex players and had 10 Czech, 2 Georgian, 2 Lithuanian and 1 Latvian internationals. Buckswood players have also played senior rugby for Hastings & Bexhill, Rye and Cranbrook as well as representing top universities’ first teams. The academy is linked with Natal Sharks academy and we have regular input from their coaches, while our players have the opportunity to attend camps overseas, including in South Africa. The head of the rugby academy is Kit Claughton, who’s previous playing experience includes Harlequins, Blackheath and Australian side Warringah Rats; his coaching experience includes Hastings & Bexhill and the Sussex Martlets. The academy will accept players of all standards but all must have the following attributes: a great attitude, ability to play and train in all conditions, a good level of fitness and the most important skill, to be an excellent team member.